Did You Know That Cristiano Ronaldo Has A Fitness Level Of A 20 Year Old? A medical test at the new club revealed some unbelievable facts. Cristiano Ronaldo recently made a shock move to Serie A Champions Juventus FC. In over a $100 million deal, the goal scoring beast moved away from the European Champions Real Madrid this summer. 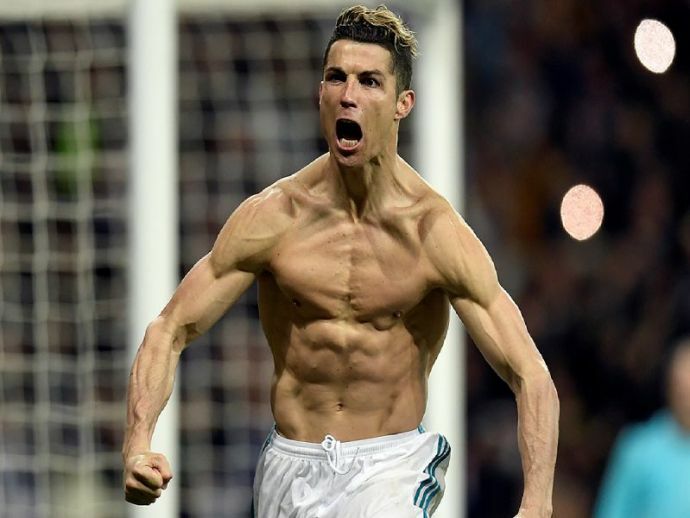 Cristiano is one of the fittest athletes in the world, and at his age, his fitness level is of a 20-year old, reveals medical tests that he underwent at his new club. The 33-year-old Portugal Captain has an unbelievable physicality. The medical tests that he underwent before leaving Real Madrid revealed, that he is as fit as a 23-year-old. Differing from these test results, his new club says that Cristiano is fit as a 20-year-old. Total body mass of a normal person at 33 years would record about 46 percent. Amazingly, Cristiano has a total body mass of 7% as shown by the test results at Juventus. His muscle mass constitutes 50%. Those are some really scary revelations for his opponents in Italy, for an already scary Cristiano “goal machine” Ronaldo. The Portugal Captain registered a record speed of 33.98 km per hour, which is the highest sprint in World Cup 2018. To achieve such speeds in his age, only validates that he comes from another world. Leroy Sane, a 22-year-old Manchester City winger, recorded his highest sprint at 35.48 km per hour in the English Premier League last season. This shows the level of Cristiano Ronaldo. The striker, who scores an incomparable 40 goals per season (only a certain Messi from Barcelona bettering that), is showing no signs of stopping. We can be sure he will be there putting fear in minds of the defenders for years to come.